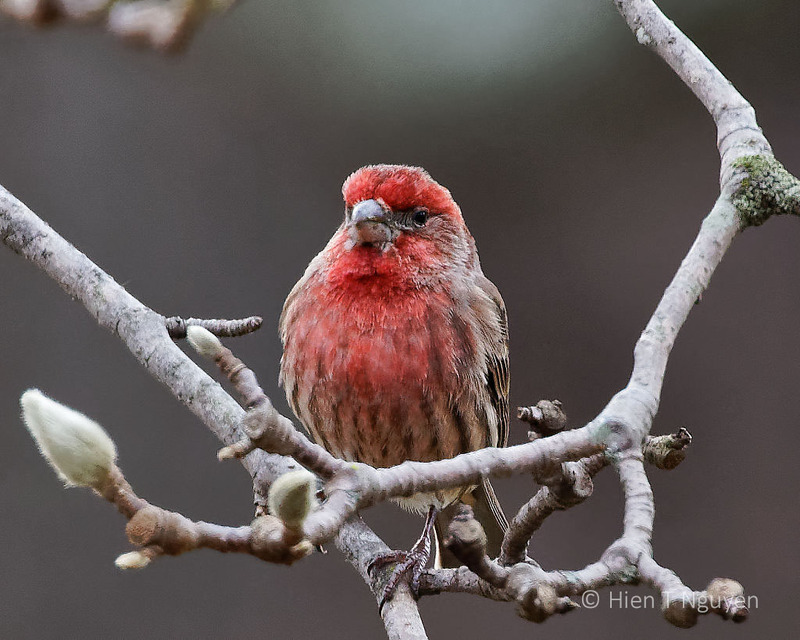 Looks like a cold day and the House finch is puffed up a bit to keep warm, nice image. Thank you Julie! Those birds make winter more bearable. The soft, cool light is very nice with the warm reds of the House finch’s feathers. Those birds added some needed colors to a dreary day! Wow, he’s an attractive chap. I’ve never seen one of these before either! Sorry to be always saying this. This is another bird that is native to North America. That’s why you have never seen them. Have not seen those around here. 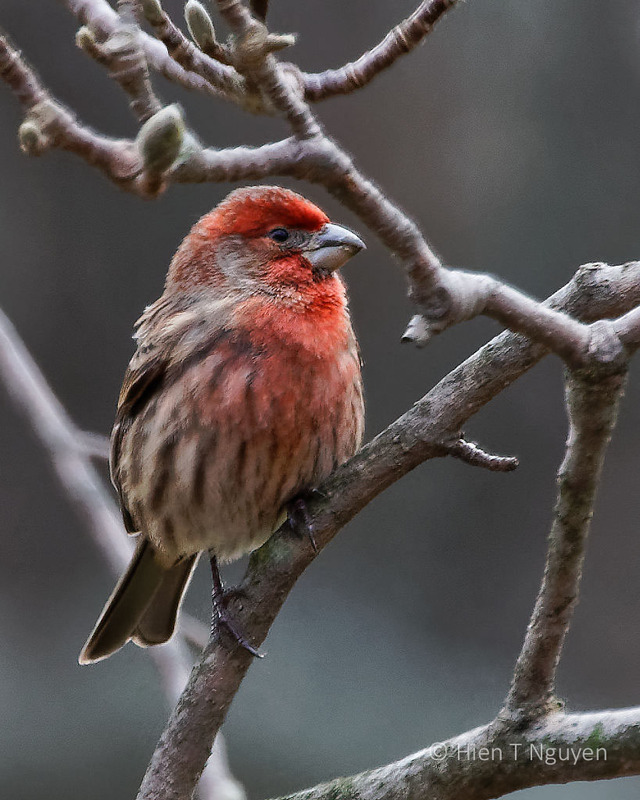 House Finches originate from the West and slowly migrated to the Eastern part of the US, but not to Florida. These terrific images of the birds in your backyard have me wishing that I had a place of my own so that I could both watch and photograph these smaller birds! Thank you Jerry! I have watched videos of professional photographers using seeds to attack birds for them to photograph. You may want to try that one of these days. We don’t see these as much as we used to, since they got that disease. Yours look nice and healthy! 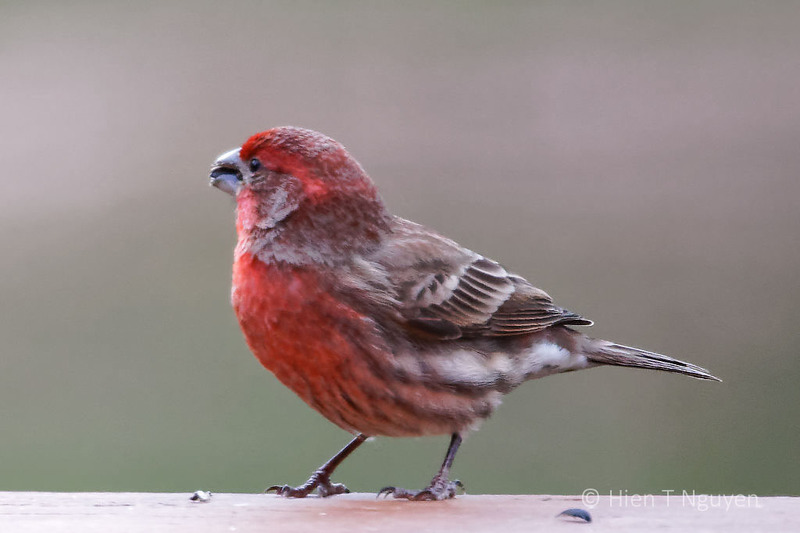 We are lucky to have had quite a few House Finches come to the bird feeder over the past 10 years. Maybe they are the survivors of that eye disease. Thank you Helen! 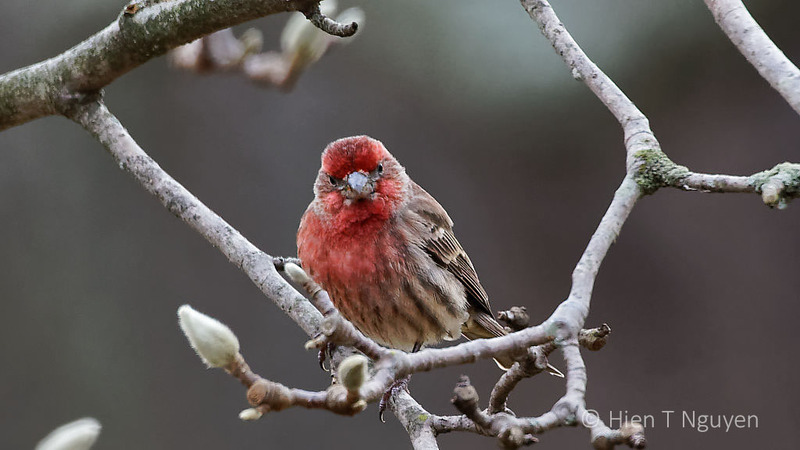 The first and fourth photos are of the same House Finch, the other two are of two other individuals. They do resemble Purple Finches, which are slightly larger. The male Purple Finches have a raspberry red color on their back also. These are all male House Finches. The female ones are brown overall, without any red.